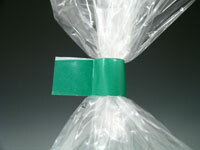 Wraps tape around bag neck, seals, and cuts in one quick motion! No assembly or maintenance required. Use mounting holes in base to secure to work surface. Bag cutting assembly also included. 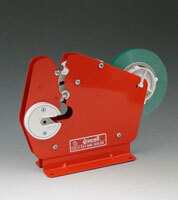 Durable, pressure-sensitive polyvinyl chloride tape sold separately. Tape offered in nine colors for coding merchandise. Call for details about replacement parts.